Back in 1980, the U.S. Olympic hockey team, a blue-collar bunch led by an unconventional coach, engineered what Sports Illustrated called the greatest sports moment of the twentieth century. Their victory over the mighty Russian hockey in those Olympic games has been dubbed the "Miracle on Ice." It's hard to match the drama of an Olympic games, where young athletes not only represent themselves, but compete for the pride of their homelands. This list contains tales of of heroes, underdogs, dreamers, and failures that fought in the arena of athletics for the pride of country. 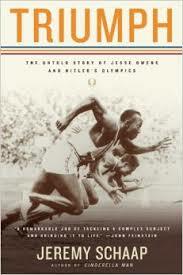 Presents a comprehensive analysis of the 1936 Olympic games hosted by Germany, America's threat to boycott the games, and the four Olympic gold medals won by African-American athlete Jesse Owens, whose performance crushed Hitler's myth of Aryan supremacy. 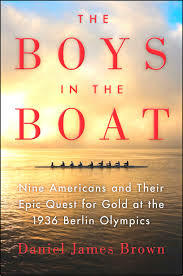 Tells how in 1936 the University of Washington's eight-oar crew, composed of the sons of loggers, shipyard workers, and farmers who had mastered collegiate rowing, went on to the Berlin Olympics where they defeated Adolf Hitler's German team to achieve the Olympic gold medal. 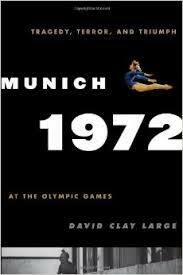 A comprehensive history of the 1972 Munich Olympic Games, discussing the political conditions of the period, how Munich was selected for the games and how the city prepared for them, the athletes of the games, and the kidnapping and murder of eleven Israeli Olympians by Palestinian terrorists.